Sammy Cahn (1913-1993) was a lyricist (who, like Oscar Hammerstein, preferred to call himself a lyrist) who collaborated successfully with the composers Saul Chaplin, James van Heusen and Jule Styne. He was nominated for 26 Oscars, and won four, for ‘Three Coins in the Fountain’, ‘All the Way’, ‘High Hopes’ and ‘Call Me Irresponsible’; other notable titles were ‘Thoroughly Modern Millie’, ‘Love and Marriage’, and ‘Come Fly with Me’. Those who sang his songs included Frank Sinatra (who recorded 87 of his songs), Doris Day, and Mario Lanza. Cahn went on to be the President of the Songwriters Hall of Fame in 1972. The notes in this article come from two books, one for which he was the author, and the other for which he was interviewed. 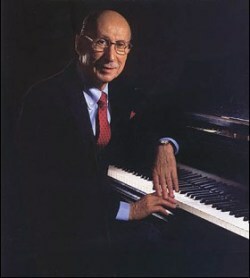 Some of Cahn’s central songwriting concepts were singability, impeccable ‘architecture’, commitment to ‘neatening up’ a lyric until nothing feels out of place or strikes a wrong note, strenuous avoidance of impure rhyme, and a workmanlike approach in which he was prepared to take on any songwriting commission and find a solution to a problem. Views on impure rhyme: 32 “Suffice it to say, if I could undo any impure rhyme, I would do it in an instant, or at least I would try.” 32 “I often use impure rhymes for comedic purposes. In that situation the impure rhyme is working for you.” 33 “When I write an actual song, not special lyrics, I agonise over the thought of using impure rhyme. Often the process of ‘neatening up’ that one troublesome rhyme can be more time-consuming than writing the entire piece.” 33 “There are endless impure rhymes like forever and together, but it’s not enough for such words to sound like a rhyme, they must be a rhyme. Whither flows the river sounds like a rhyme, but isn’t.” 35 “Sometimes out of necessity you have to stretch for the impure rhyme, but sometimes depending on what singability or context dictate, you may choose not to rhyme at all! 38 If you’ve said all you feel you need to say, stop writing, even if the song seems short. For example, Cahn and his musical partner Jules Styne wrote ‘It’s been a long, long time’ and ‘I fall in love too fast’ that way.